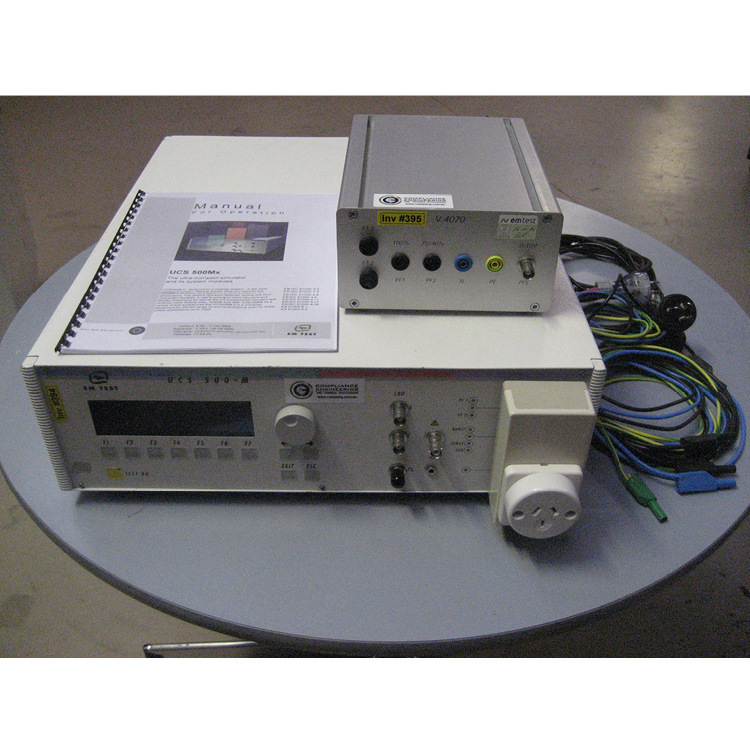 The UCS 500M4 is an Ultra Compact Simulator that tests to IEC and European Community specifications for burst, surge, voltage dips and drops, magnetic fields and ESD air and contact discharge. The UCS 500M4 tests to levels up to 4400V. With the ESD option, the UCS 500M4 tests up to 15kV air and 8kV contact discharge. It contains a built-in CDN to accommodate EUT power requirements to 250 volts and 16 amps. Contact Compliance Engineering to hire this product.